Have a happy & healthy Halloween! Autumn is a season with a little something for everyone: mild days with crisp nights, the start of football season, corn mazes, apple picking, and, of course, all things back-to-school. Somewhere in there, Halloween takes center stage for many people as the unofficial kick-off to the fast-approaching holiday season. While Halloween’s sweet treat indulgences are certainly something fun to look forward to, it is important to keep in mind that excess added sugar has been linked to multiple health issues, particularly obesity. This begs the question: What is a health-conscious Halloween enthusiast to do? 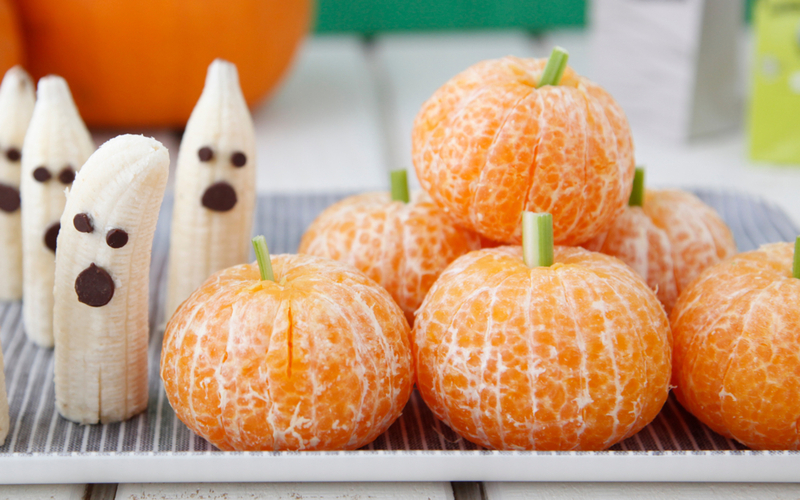 We have some tips, tricks and even treats to help you make the most out of your Halloween fun while keeping a healthful eye on what you consume. 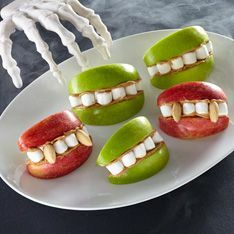 Be Creative with Party Snacks – Not everything has to be 100% healthy for a Halloween spread – let’s face it, we all need a piece of candy occasionally – but providing healthy alternatives is a great way to encourage healthy eating and to help avoid over-indulging on candy. Indulge (a little) – Go ahead, indulge, but do so in moderation. Have a piece of candy and enjoy it. The main key here is moderation. Indulging a sweet tooth in moderation can help to control the urge to binge eat on all the readily available Halloween candy.